(Newser) – Months before 3-year-old Sherin Mathews choked to death in the Dallas suburb of Richardson as her adopted father allegedly forced her to drink milk, a doctor contacted Child Protective Services to report the girl was possibly being abused, reports the Dallas Morning News. 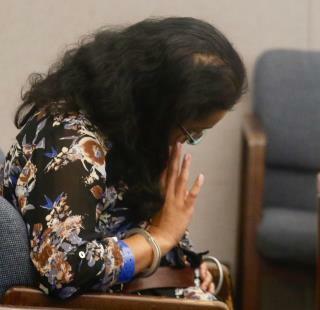 Speaking at a Wednesday custody hearing regarding Sini and Wesley Mathews' biological daughter, Dr. Suzanne Dakil said she examined Sherin in March and found her to have bone fractures in her arms and legs, and they were inconsistent with her parents' various explanations, including that her sister had pushed her off a couch. Dakil said she called CPS to warn of possible abuse by the parents who adopted the girl from India in 2016. Why no action was taken is now under investigation. Wow!They wouldn't be investigating this precious little girls death,had they really investigated her "life". CPS is obviously failing hundreds of children...These babies are being murdered every single day because Child Protective Services don't know what they are doing!There is NO EXCUSE for this!..? ?These children are going to continue being beaten,shaken,bruised,burned,..etc...until we get more qualified social workers who truly want to prevent child deaths due to neglect and abuse!This is not acceptable,ever! I care alot about this subject because I have seen the results of child abuse right in my face - suffering, hurt and dying. So I go on my rant. But, I did leave out that this system has been underfunded, underpaid, and understaffed since I first had dealings with them back in the early mid seventy's. At the time I was naive, now I've grown jaded - and I can't shut up.